This was an impromptu documentary, hence the missing pictures of the starting process. 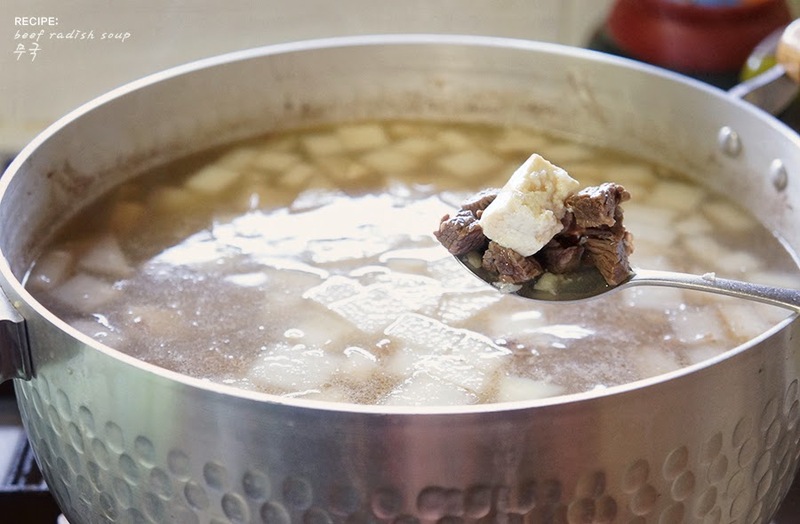 1) Cut beef into small thin cube-like slices and fry it with a generous amount of sesame oil till its brown. 2) Add in the radish (cube cut size), water (as much as you want the soup to be) and salt (to taste). 3) Close the lid and allow it to boil. 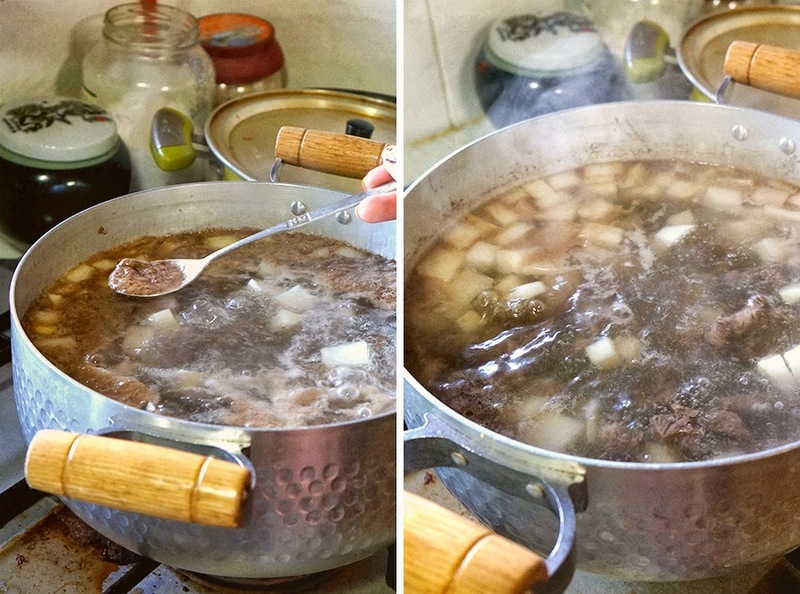 4) Once it's boiling- some brown stuff will surface (its from the beef)- use a spoon or ladle to scoop and discard it. 5) The soup will look clearer now, taste again and add salt (if necessary). 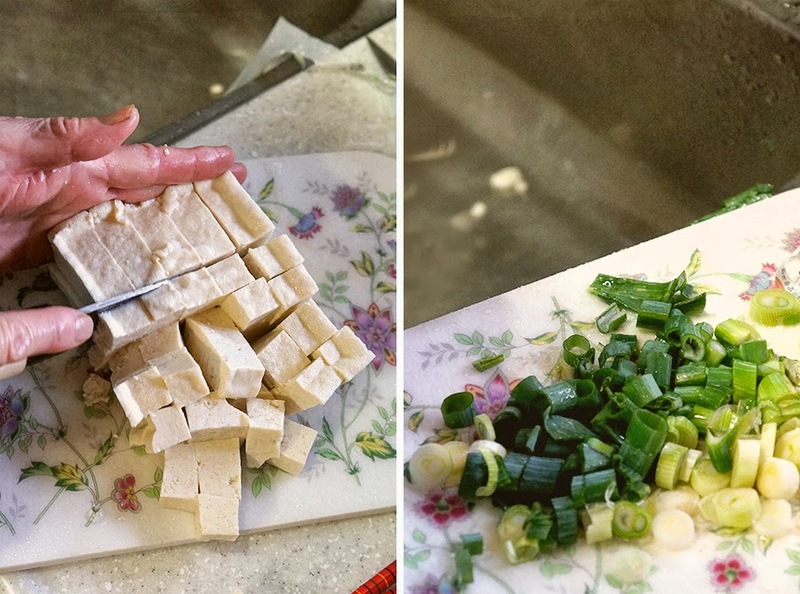 6) Add in tofu (cube cut size) and minced garlic. *optional: add a lil MSG/Ajinomoto for extra taste. 7) Let it boil till the radish is soft. 8) Once it's soft and the soup taste is well to your liking- turn off the fire. 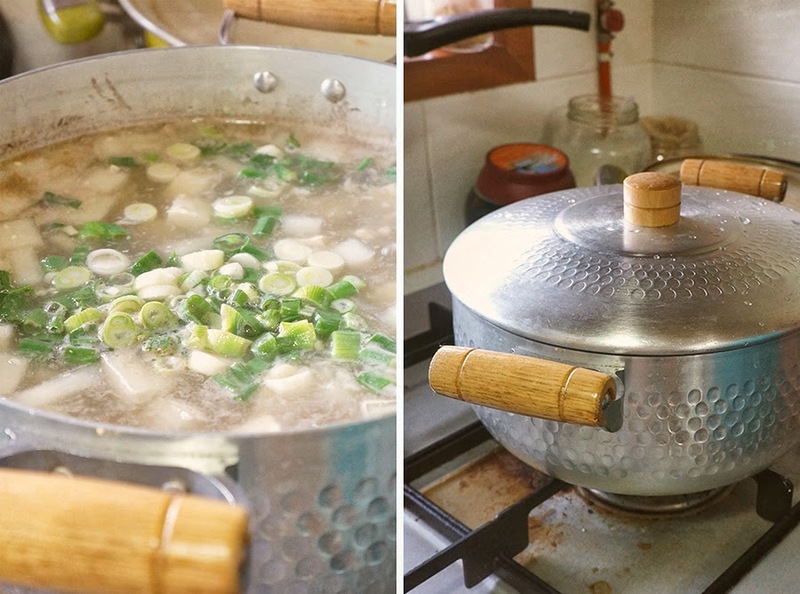 9) Add in spring onion and close the lid till you are ready to serve it for dinner whenever. You can store it overnight- so it's pretty awesome as a leftover too!